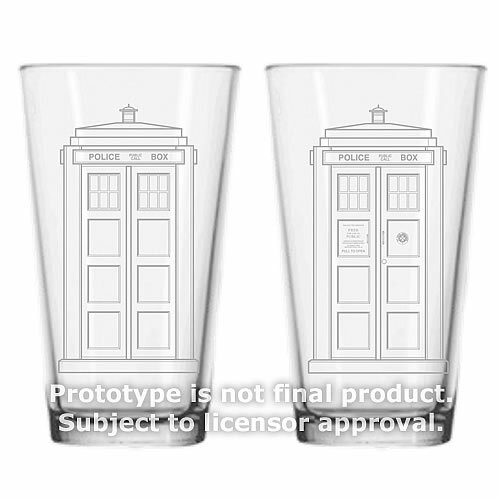 We're in the process of releasing a full line of all-new Doctor Who glassware. Today we are featuring an etched look TARDIS in a 16 ounce pint format. 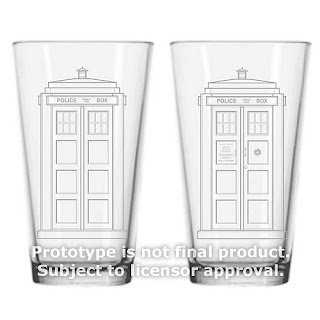 Order the Doctor Who TARDIS Etched Look 16 oz. Glass Set of 2! Drink up Time Lords! Big Reveals for Day 11, 12 and 13!